A £4 million project to transform the site of Sutton Hoo, home to one of the most important archaeological discoveries in the British Isles, has been announced by the National Trust. Last week the conservation charity announced they had received a £1.8 million grant from the Heritage Lottery Fund that will allow them to begin work on a number of improvements to the site, which is located near Woodbridge in the English county of Suffolk. Home to the burial ground of the Anglo-Saxon King Raedwald, Sutton Hoo has been fascinating visitors from around the world ever since its hoard of treasure and royal secrets were discovered by a local archaeologist in 1939. Plans include building a 17 metre observation tower to give views over the entire burial ground and to the River Deben beyond, revealing the fascinating story of this evocative landscape. A new route around the site will allow visitors to walk in the steps of the Anglo Saxons. Tranmer House, the former home of Edith Pretty who instigated the dig that would lead to the discoveries, will be transformed with a new exhibition exploring a timeline of multiple discoveries and the ongoing research at this and other archaeological sites. Enhanced guided tours, thought-provoking activities and installations, innovative interpretation and creative programming will all sit alongside a schools education programme. In addition, partnership working with archaeological bodies, the British Museum and the local community will all help to help bring both the landscape and Exhibition Hall to life. 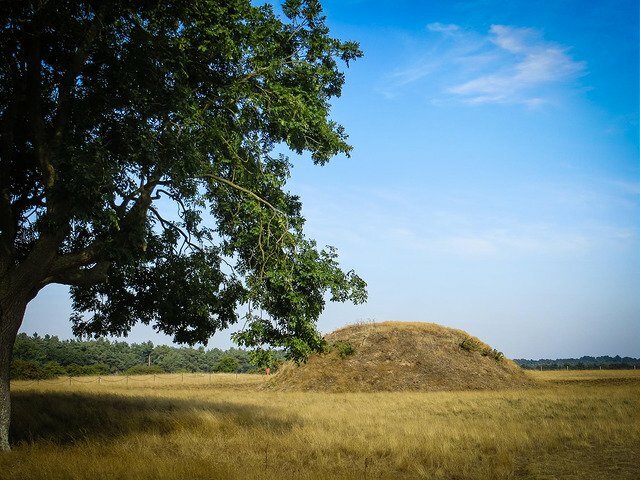 The project, Releasing the Story of Sutton Hoo, will enable the National Trust to create an experience that helps visitors discover more about this internationally significant site and how its stories have captured the imaginations of people the world over. Allison Girling, Property Operations Manager at Sutton Hoo, commented, “We welcome visitors with a wide range of interests and knowledge to Sutton Hoo and these plans are all about sharing more about the history of this special place, helping visitors delve deeper into the lives of the Anglo-Saxons who settled here, the people who discovered them and to learn more about what it is that makes Sutton Hoo so fascinating. The Trust has also been given permission for plans to transform the welcome centre and car park. The £4 million project is being made possible thanks in part to support provided by members and visitors and the National Trust is aiming to raise a further £560,000 in order to complete the project. The project is scheduled for completion in 2021. Click here to visit the Sutton Hoo website.